This Positive Psychology manual by Bill O'Hanlon and Bob Bertolino is full of strategies to help you implement powerful interventions into your practice. The content primarily includes descriptions of research-based therapeutic activities, and accompanying handouts. 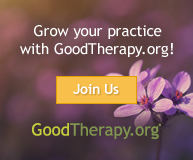 If you're new to the field of positive psychology, or you want to learn a few new tricks, check out The Therapist's Notebook on Positive Psychology.